Sophomore-to-be Breanna Beal says Connecticut and Stanford are two of her top choices right now. In Breanna Beal's eyes, there must have been some sort of error. At the very least, a serious miscalculation. 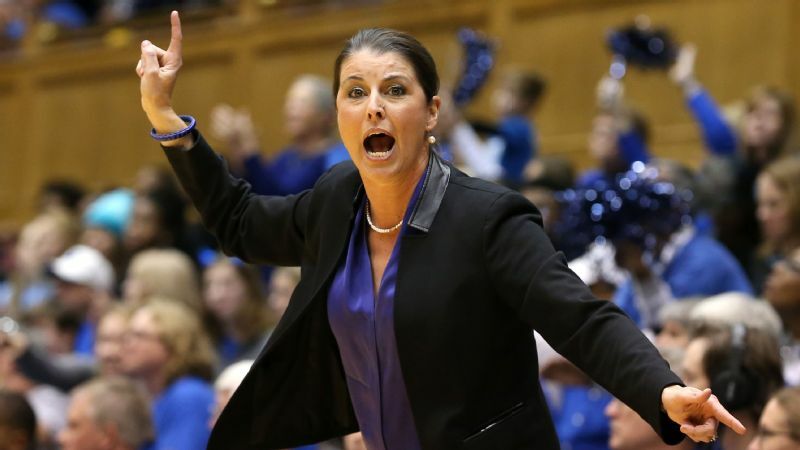 The daughter of Kevin Beal, a small forward who was a two-year starter at Texas-El Paso and rubbed elbows with legendary figures such as Bobby Knight and Tim Hardaway during his career, Breanna grew up around basketball. Even before she could walk, she was in the gym with her dad, and it didn't take long for her to start making shots on a 10-foot rim. 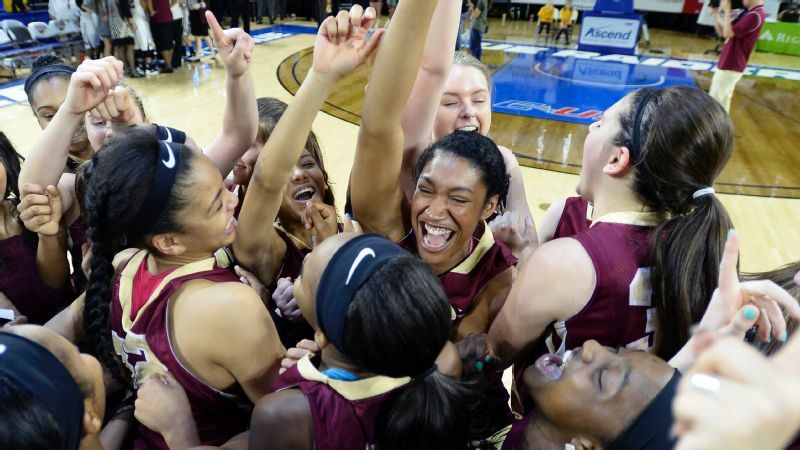 But when it came down to joining her first team at the Rock Island YWCA in Rock Island, Illinois, Beal -- who was in second grade at the time -- was shocked when she walked into the gym. "Dad," she said innocently, "there's something wrong with the rims." How high did Oregon climb in final recruiting class rankings? The rims, as it turns out, had been lowered to 6 feet, which was standard for kids that age. "It wasn't something I wanted," Beal said. "I would rather have gone to another gym and shoot with my dad. I was irritated." Kevin said his daughter was more than irritated. "She didn't want to play," he said. "She was highly upset. She was making baskets on a 10-foot rim with nice form -- it wasn't a struggle. "The other girls were struggling to reach the rim on a 6-foot rim. But for Brea, she could make baskets from 10 to 15 feet on a 10-foot rim. When she saw the lowered rims, she felt disrespected. I had to have a conversation with her and explain that it wasn't always going to be like this." Indeed, the next year, she played on a 10-foot rim against girls two and three years older, and that trend continues today. Beal, now a 6-foot-1 wing at Rock Island High, averaged 16.7 points and 6.8 rebounds as a freshman for a 29-4 team this past season. She's expected to be among the top prospects when the espnW HoopGurlz 2019 Watch List becomes the 2019 Terrific 25 later this summer. "She's like a point forward because she sees the floor so well," Rock Island coach Thad Hoover said. "She jumps center for us and can defend point guards. 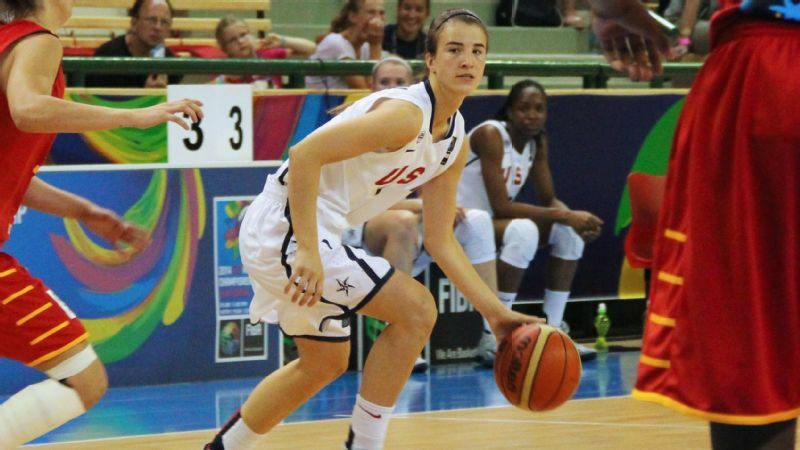 She will be a wing in college, but she plays all five positions for us." Beal has shown amazing range, making 63 3-pointers while converting on 43 percent. She was also the only freshman who made the Class 4A Illinois Basketball Coaches Association all-state first team. In the spring leading up to her freshman year, Beal joined the Midwest Elite AAU team, where she averaged 16.5 points and 11.5 rebounds. 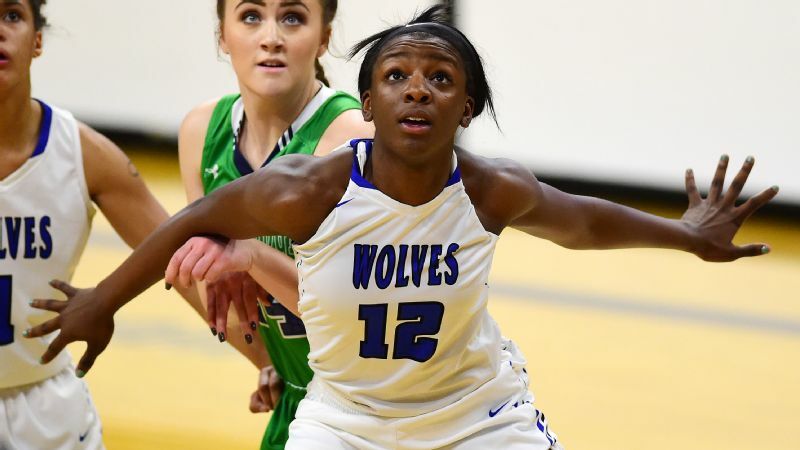 Ralph Gesualdo, the coach of Midwest Elite, said he has only had three other eighth-graders play on his sophomore team, a list that includes former Notre Dame star Jewell Loyd, who was the first pick in the 2015 WNBA draft. 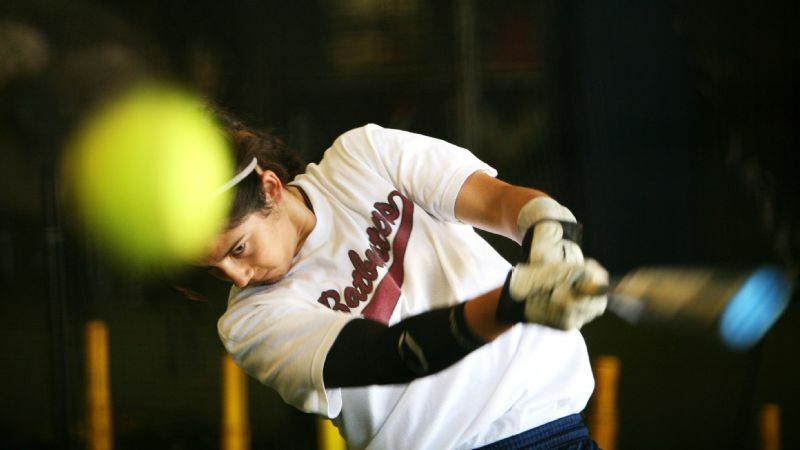 The other eighth-graders to play that far up for Midwest Elite were Gabbi Ortiz, who has started all 66 games in her University of Oklahoma career and was the Big 12 Freshman of the Year in 2014-15; and Ali Andrews, who will be a freshman at the University of Illinois this fall. "We've had some real fine athletes come through our program, but Brea is the closest thing we've had to Jewell Loyd," Gesualdo said. "Brea is special. She's nothing short of amazing. Brea doesn't play like a girl, honestly -- at least not like any girl I've ever seen, how quick her shot release is or how she can shoot off the dribble. "She does everything well, but her step-back 3-pointer is something you don't see girls do very often. 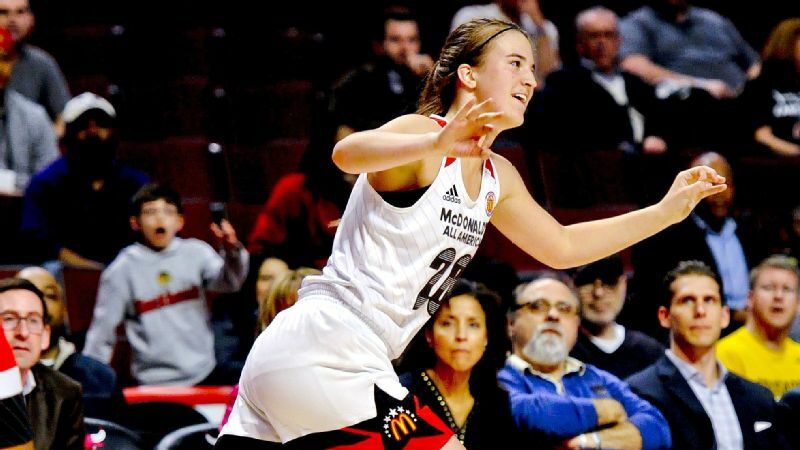 Brea is one of those girls you can see eventually playing in Europe and the WNBA." College coaches see that potential, too. 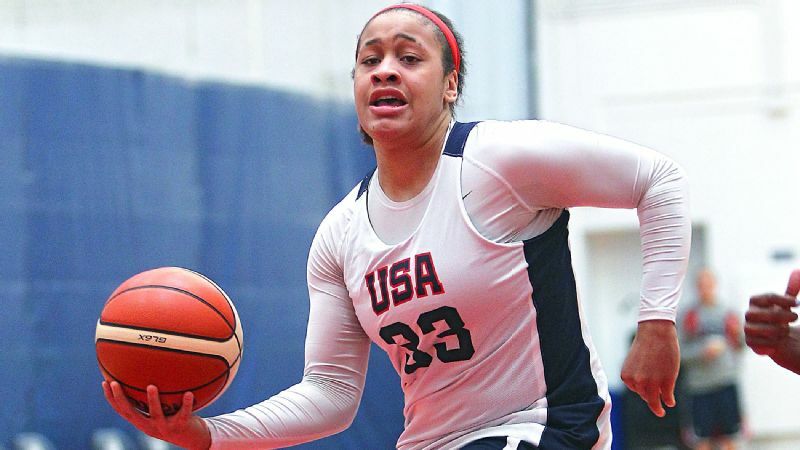 After she played in the Boo Williams AAU tournament last summer -- which was her first exposure on the East Coast -- she was flooded with scholarship offers and interest. 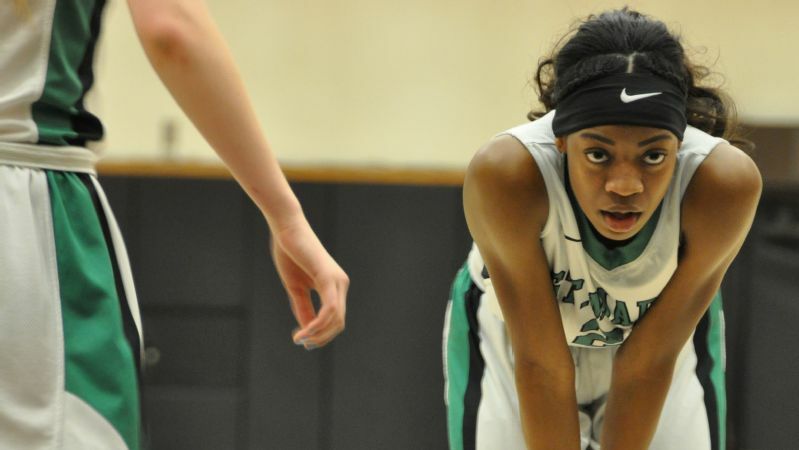 Before that, her only offers had come from Big 12 schools and other programs in the Midwest. But after Boo Williams and this summer's Team USA U17 trials in Colorado, where she made the cut to 40 players despite being only 15 years old, Beal is now a national recruit. Beal, who has about 25 offers, said she has long admired Connecticut and Stanford, for different reasons. "Everyone is amazed at Connecticut," said Beal, adding that the Huskies have not contacted her. "They win championship after championship, and I have rooted for them each time." Beal said Stanford has contacted her father, and she lists that school as the type of program she wants -- high academic standards combined with athletic excellence. "Whether I go there or not, I want to have my (GPA) be good enough for Stanford," said Beal, who has a 3.7. Beal said her first scholarship offer came from the University of Iowa when she was only in sixth grade. "I wasn't clueless, but I really didn't know what [an offer] meant," Beal said. "My dad sat me down and made me understand. "Now I try to put these offers to the side. I don't want to be distracted. After the AAU season ends in July, I will look at it, but I want to stay focused." Beal, who is interested in studying business or medicine but also enjoys drawing and writing stories, is so mature that it's easy to forget she's 15. 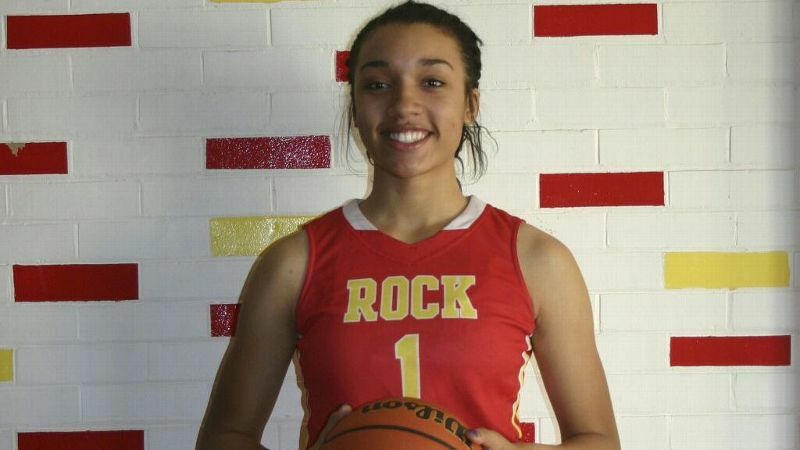 On her Rock Island team this past season, there were nine seniors, and Beal was the only freshman. Her talent was undeniable, but her youth -- juxtaposed against a veteran and skilled team that had been together for years -- created a stir. 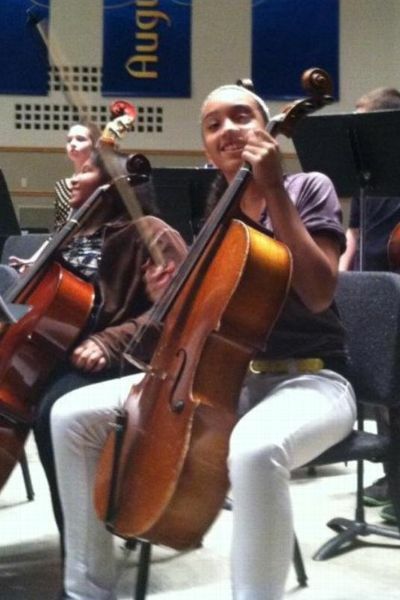 Breanna Beal enjoys everything from basketball to writing to music. "It was a little overwhelming; knowing that you are the youngest on the team but with the skill and ability that I have grown to realize I have," Beal said. "I wasn't welcomed with open arms. It was kind of hard going in -- not everyone's going to be your friend. But it got better with each practice and each game, adapting to everyone around you. We grew closer. We came a long way." Betty Hall, one of her senior teammates this past season, said Beal earned everyone's respect. "She's nothing short of amazing," Hall said. "Her work ethic is like nothing I've seen before. She's in the gym more than anyone. She will have a two-hour practice, go home and do homework and then go back to the gym to put up shots. "Brea doesn't play like a girl, honestly -- at least not like any girl I've ever seen, how quick her shot release is or how she can shoot off the dribble." Hall, though, admitted that -- off the court -- the seniors reminded Beal she was still a freshman and not to get a big head. After school one day, for example, the seniors pelted Beal and some junior varsity girls with water balloons. Hall said Beal took the jokes and pranks in stride. But now that she's heading into her sophomore year, Beal said the environment will be different. "Knowing that the seniors are gone has given me a boost of confidence -- now it's my time to step up," Beal said. "Now I can help the other players, talk to them, coach them when Coach is not around. "Now I can lead the team how I want to lead. We can all be leaders -- not just one person."